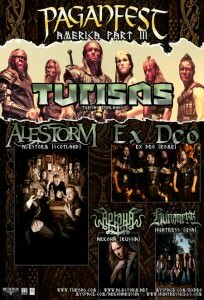 OK, time to make it official and confirm the rumours: Turisas will be headlining the 2012 version of PaganFest America. We will be joined by Alestorm (Scotland), Ex Deo (Italy), Arkona (Russia) and Huntress (USA). So don’t miss out! 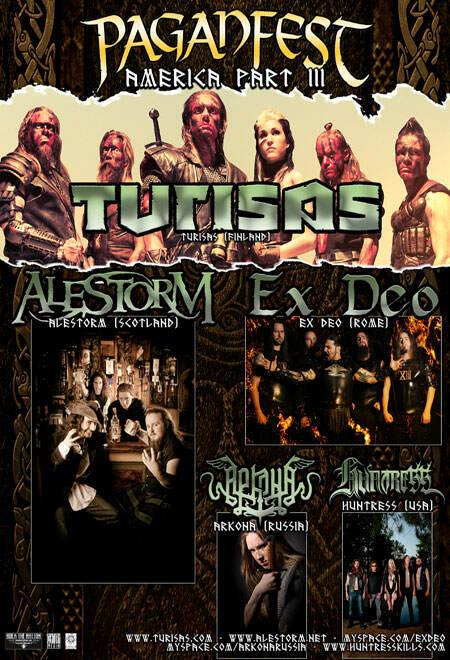 Check the dates below to see when TURISAS and PaganFest will be coming to a city near you. Soundwave Sidewaves – sideshows announced! Don’t miss your chance to farewell one of metals’ greats! Closing the curtain on a stellar career spanning two decades, doom metal legends CATHEDRAL announce their last ever headline shows as part of two exclusive sidewaves in Sydney and Melbourne, giving Australian fans an opportunity to be a part of metal history. CATHEDRAL’S legacy will well and truly continue, with the band releasing their final studio album ‘ The Last Spire’ in 2012 an expression of gratitude to their cult following. PARADISE LOST have pioneered gothic metal. Their desire to evolve and stay ahead of musical trends continues with their latest effort ‘Faith Divides Us Death Unites Us’ “a record of epic beauty with so many moments of genius” – Rock Sound.